Don't let Bedbugs damage the reputation of your business. Call now to speak with a Bed Bug Control Expert! NY Bed Bug Dogs, is proud to be able to offer ground breaking cryonite freezing as part of its intergrated pest mangement program. 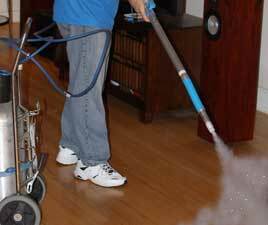 NY Bed Bug Dogs offers bed bug extermination to residential and commerical customers in the NY Metropolitian area as well as New Jersey. For our business clients we can tailor make a comprehensive bedbug inspection, elimination and prevention program. We can set up weekly, bimonthly, monthly visits based on your needs. We provide safe, effective bed bug treatment for Long Island, New York City, Brooklyn, Queens, Manhattan, Bronx, Westchester and New Jersey. For our commerical clients we can tailor make a comprehensive bedbug inspection, elimination and prevention program. We can set up weekly, bimonthly, monthly visits based on your needs. NY Bedbug Dogs guarantees all of our work and stands behind our guarantee 100%. We offer a two treatment, two inspection bedbug elimination process. It's a comprehensive approach and it's one of the best in the business. We offer environmentally safe and people-friendly solutions that effectively eliminates Bedbugs. Bedbug dogs are the most effective way to diagnose a bedbug problem.